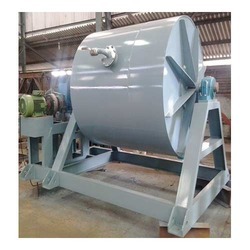 Offered Ball Mill is the key equipment for recrushing the materials after they are primarily crushed. Ball mill is suitable to grind various mineral and other materials, which is widely used in various industries such as beneficiation, construction materials, chemical industry, etc. It has two ore grinding ways: dry way and wet way. According to discharge type of finished powder, it can be divided into two kinds: grid type and overflow type. Ball mill is widely used to process cement, silicate product, new building product, new building materials, fireproof materials, fertilizer, ferrous and non-ferrous metal ore beneficiation, glass, ceramics, etc.